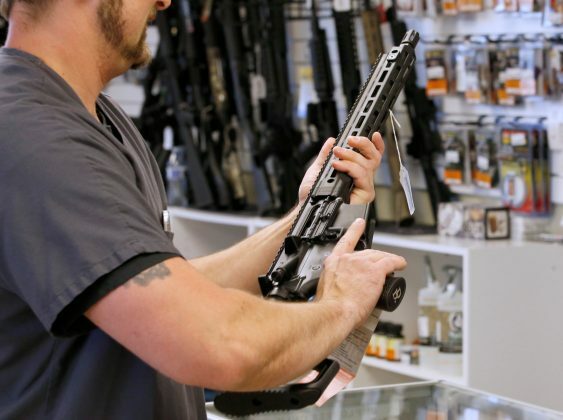 WASHINGTON (Reuters) – The U.S. House of Representatives Judiciary Committee will take up legislation next week that would require universal background checks for gun buyers, the panel’s Democratic chairman said on Thursday. Nadler’s announcement came a day after the House Judiciary Committee held the first congressional hearing on gun violence in years and heard testimony from witnesses including Houston Police Chief Art Acevedo, who voiced support for the legislation. At Wednesday’s House hearing, Republican lawmakers warned that the new legislation could lead to a national gun registry and asserted that expanded background checks would penalize law abiding citizens but not protect people from gun crime. This entry was tagged Bipartisan Background Checks Act, domestic violence abusers, Felons, gun buyers, Gun Control, Legislation, loopholes, prohibited persons, U.S. House of Representatives judiciary Commitee, universal background checks. Bookmark the permalink.